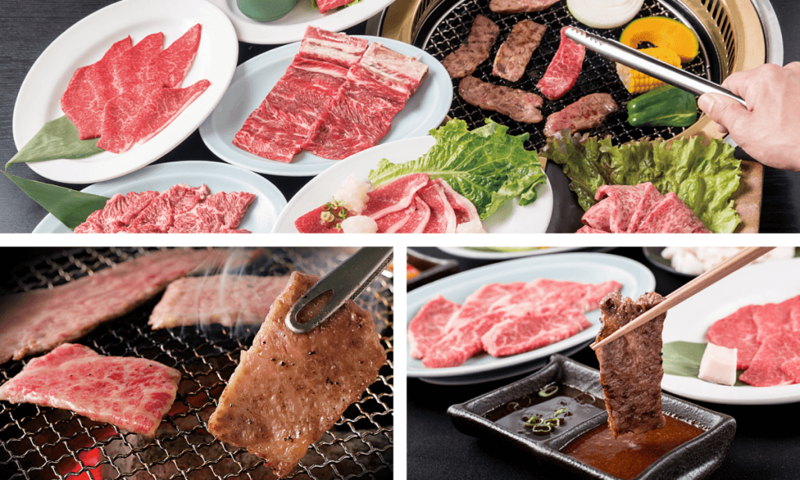 Maruzen Yakiniku Restaurant prides itself on its high-end choice beef. All meat is scrupulously examined and only the best of the best is chosen to become the face of Maruzen. 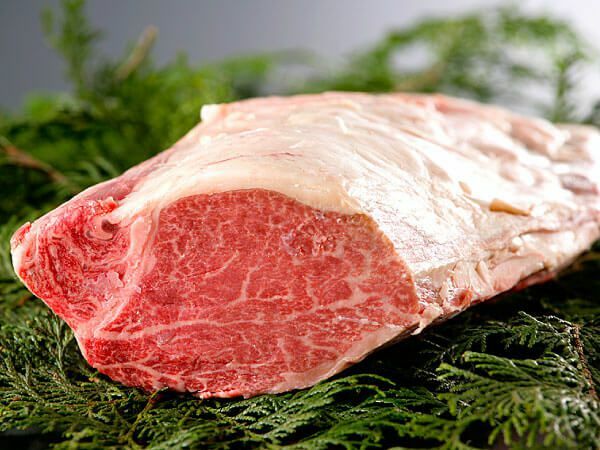 You will find a large menu with numerous kinds of cuts; the majority of the beef used comes from domestically raised Wagyu cattle, including the most internationally renowned Kobe Beef as well as Tajima Beef. Tajima Beef is the native cattle of this area and is also the bloodline of Kobe Beef. Only pure Tajima, bred and raised here is certified as Kobe beef. 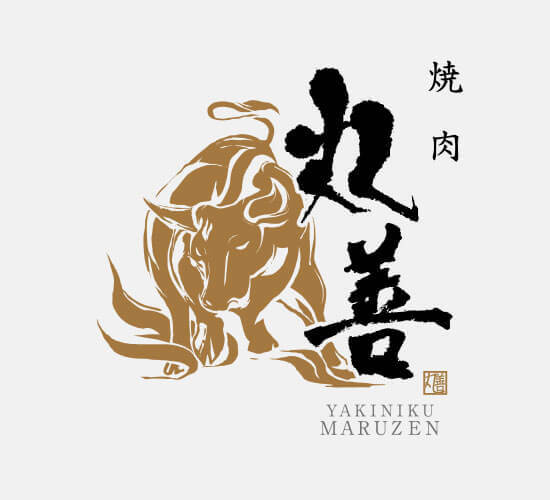 Maruzen purchases the whole wagyu carcass and cuts the meat accordingly at the restaurant. You can order sirloin steaks, beef fillet, skirt steak, roast, ribs, and more. All with a beautiful marbling of fat that will melt in your mouth like caramel. Just be sure that you don’t over cook it. That’s right. You do the cooking, that is part of the flare and experience of yakiniku. All of the meat is served freshly cut and raw to your table. It is up to you to cook it as you like. In addition to meat, we also serve various kinds of innards known as ‘horumon’. Some of the popular ‘horumon’ are tongue, liver, stomach, and others. 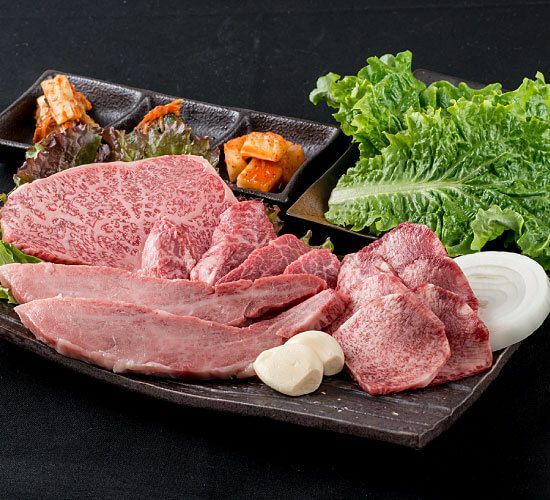 If you want to take a break from the rich flavor of wagyu beef, don’t be shy to order some vegetables, rice, or side dishes including chijimi, ramen, salad, soup and kimchi. TIP: If your grill is getting sticky, feel free to ask the staff for a new grilling net. Also, the fat content causes the meat to cook quickly. For best flavor be careful to not overcook. Aside from the meat Maruzen also prides itself with its two-time honored and traditional dipping sauces. The recipes for these sauces are a family original and tradition that have been passed on from generation to generation among the owners of Maruzen. The sauces have over 10 ingredients that give them their rich, distinct sweetness and spiciness. If you prefer a lighter flavor with your meat, go for the soy sauce base sauce, while those looking for a spicier kick will enjoy the miso sauce. We have two restaurants in Toyooka. Maruzen Toyooka Kokonokaichi Location (above, left) and Bettei Yuan Location (above, right). Kokonokaichi Location is the largest and is perfect for both small and large groups. The atmosphere is a bit more casual than Bettei Yuan. Kokonokaichi is also mainly seating on the ground, however the tables are ‘horigotatsu’ style, a traditional Japanese table low to the ground with a recessed floor beneath to allow you to stretch your legs out. Our Kokonokaichi location in Toyooka is open for lunch as well with a special lunch menu available during weekdays from 11:30 – 14:30. Bettei Yuan has a more formal atmosphere and is more suitable for smaller groups or more intimate dinners. 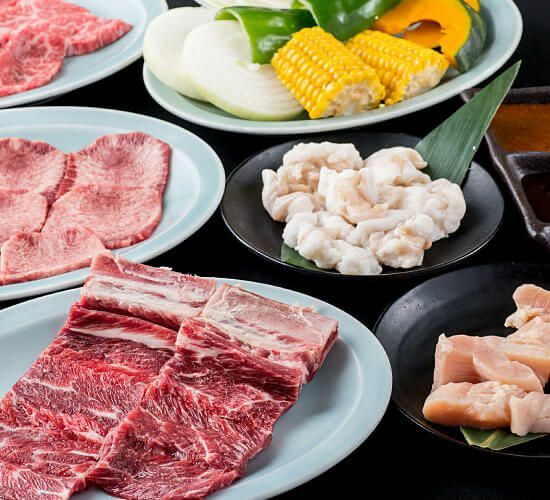 Bettei Yuan also has specialty menus that include ‘sukiyaki’, ‘shabu-shabu’ (advanced reservations must be made to request sukiyaki or shabu-shabu), large plated set dishes with various items for various prices, Chateaubriand steak, and more. All of our tables are set with a gas grill in the middle of the table for grilling your own meat and vegetables on. The Kokonokaichi location is our larger restaurant and can seat up to 170 people. Although reservations are not required for dinner, they are suggested for larger groups especially during out busier times which are usually Friday and Saturday evenings around holidays. Private dining rooms are available. 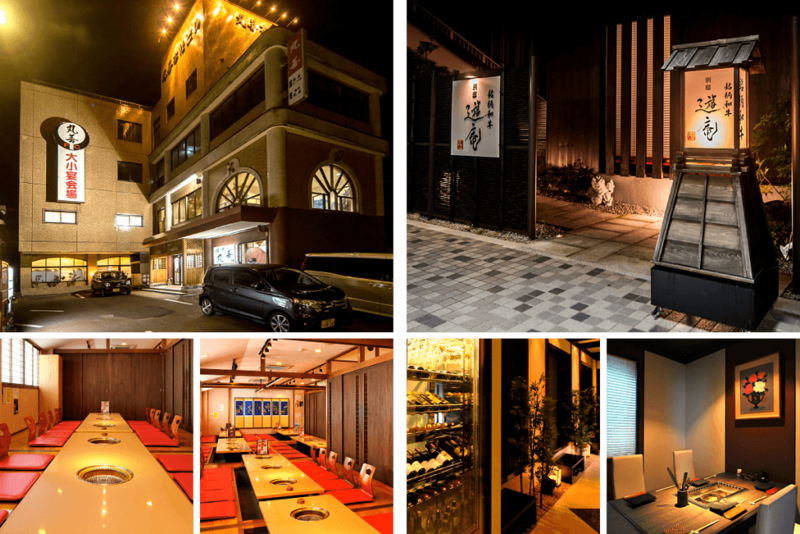 If you are looking for a more romantic or formal sit down yakiniku dinner experience we suggest the Bettei Yuan location. Both of our locations are fully smoking establishments and smoking is allowed in all of our seating areas. Regarding the menu, lunch is available only at the Kokonokaichi location but dinner is available at both locations. There are also set dinner courses available from 3,000 yen & 10,000 yen. “All-you-can-drink (nomihodai)” options are also available and can be added to any course for an additional 2,000 yen (there is a time limit of 120min for this drinking option and is only available at Kokonokaichi location). Please check with the restaurant directly on available courses and restrictions. There is an English menu available for those who need it, although the Japanese menu is more extensive and up to date. Of course, you can order off of both menus.